Awesome job! the mario suit alone is great, and yoshi makes it even more legit. 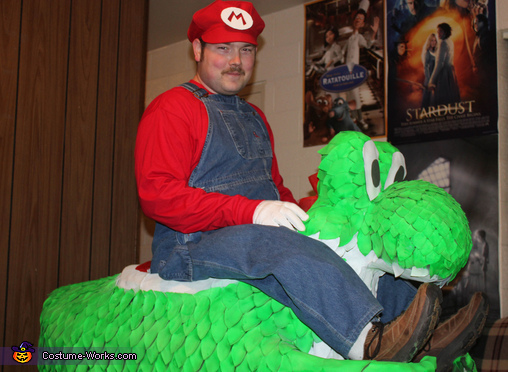 It totally looks like you are sitting on yoshi. Can you blow fireballs as well? Nice work Marshall! Awesome costume. I like that you are both Mario and Yoshi, and how they work together. Legit!